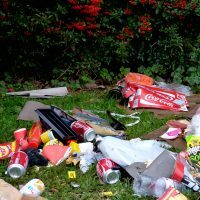 Here are the quick links you need to report overflowing bins, litter and fly tipping to Warwick District Council. Once notified, the council will act. When reporting problems please take as many details as possible including the location, the nature of the problem and the serial number of the bin (if displayed). You can also request additional litter bins or ask for a bin to be relocated. Here you can report a problem with street cleaning or a litter bin, or check when your street is next due to be cleaned. Fly tipping is illegal. 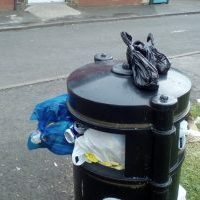 Individuals can now be fined on-the-spot – £110 just for putting their black bin bag out on the wrong day. The maximum fine for serious fly tipping is £50,000. Take care not to become a victim of a fraudulent waste removal company (or ‘man and van’) as you are the party responsible for any fly-tipping of your waste, regardless of whether directly responsible or not. TAKE CARE – check whether the company – or individual – you’re using has a licence HERE. *Did you know – across WDC, town centres and smaller shopping precincts are cleaned every day, town centre outskirts and ‘principal urban routes’ are cleaned weekly, ‘high density’ suburban housing areas are cleaned monthly and ‘low density’ housing areas, villages and rural link roads are cleaned every two months.